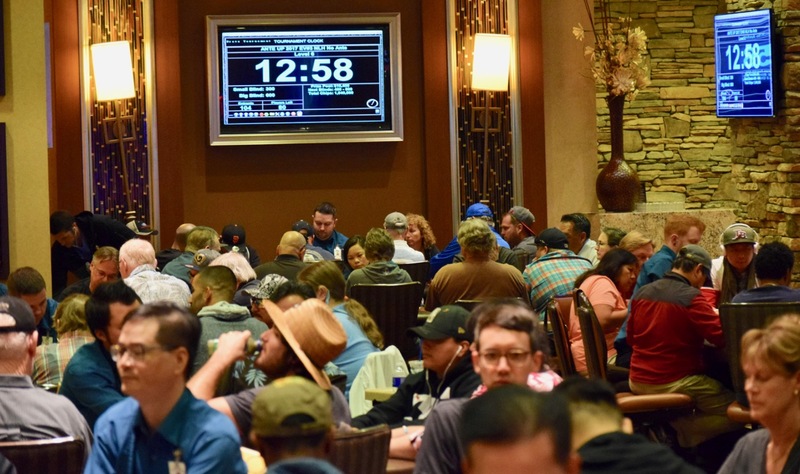 With 501 entries already in, this final $250,000 Guaranteed Monolith flight is expected to be not only the biggest flight on the tournament but one of the biggest Monolith flights in the event's four-year history. Start with 20,000 chips and play 30-minute levels all day. Registration and a single re-entry per player is available through the start of Level 5 at 1:15pm. Play continues until down to 10 percent of the starting field, with 12 percent of the field cashing but not moving on to Sunday's Day 2.